On 2 May 2017, the Philippine Plan of Action for Nutrition 2017-2022 was launched by the National Nutrition Council (NNC) in the city of Iloilo. Assistant Health Secretary Maria-Bernardita Flores, also the executive director of the NNC, identified the province of Iloilo as one of the 38 priority areas of the program because of its high number of stunted children. 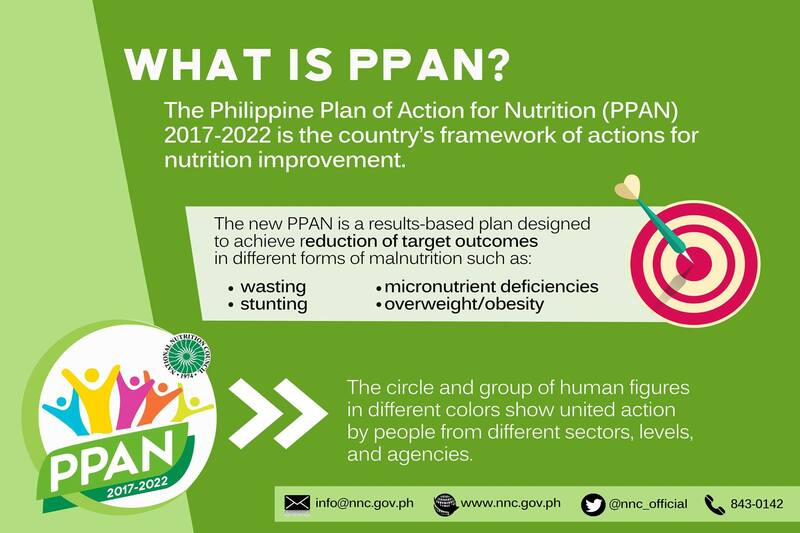 The Philippine Plan of Action for Nutrition (PPAN) will act as the country’s blueprint of actions for nutrition improvement, led by the NNC, together with key national and local stakeholders. The PPAN, which is anchored on the Philippine Development Plan 2017-2022 and the Duterte administration’s 10-point economic agenda, is one of the country’s contributions to the attainment of the United Nations Sustainable Development Goals (SDGs), particularly SDG 2 which is to end hunger, achieve food security and improved nutrition, and promote sustainable agriculture. Based on the 2015 National Nutrition Survey of the Food and Nutrition Research Institute, 3.8 million children or 33.4% are stunted while 807,057 or 7.1% are considered wasted in the Philippines. (READ: 2015 global index: PH hunger, malnutrition problem ‘serious’). The new PPAN features 8 nutrition-specific programs devised to address the immediate causes of malnutrition: inadequate food and nutrient intake, poor care-giving and parenting practices, and infectious diseases. This will be complemented by nutrition-sensitive programs already existing in developmental programs that can be tweaked to produce nutritional outcomes. As key to achieving improvements in nutritional outcomes, PPAN’s strategic thrusts include a focus on the first 1,000 days in life, intensified mobilization of local government units, and reaching geographically isolated and disadvantages areas and communities of indigenous peoples. Programs under the PPAN 2017-2022 aim to reach 90 percent of the target population and the “ambitious” target is to reduce stunting from the current 33.4% to 21%. 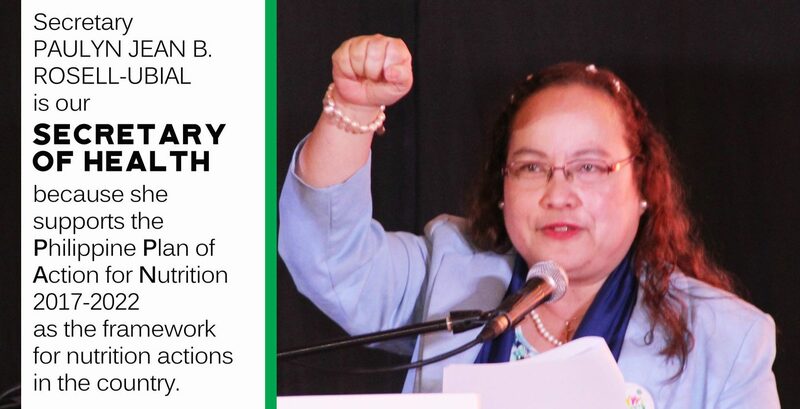 Assistant Secretary of Health and NNC Executive Director Maria-Bernardita T. Flores will present the targets, directions and priority actions of the PPAN 2017-2022. Health Secretary and NNC Governing Board Chair Paulyn Jean Rosell-Ubial will lead the ceremonial turn-over of the PPAN to Iloilo Province as one of the 38 priority areas under PPAN. An interactive exhibit will be displayed to experience the key features of the PPAN. About 200 participants from national and local government, development partners, NGOs, civil society and the NNC-organized regional media groups are expected to attend. Learn more about the event: National Nutrition Council, Rappler, CNN Philippines, Philippine Information Agency. Coinciding with the event, the NNC’s web team held a Facebook Live Feed to answer the question: Ano ang magagawa mo para masugpo ang malnutrisyon sa ating bansa? (What can you do to combat malnutrition in our country?). Visit the National Nutrition Council Official Facebook Page to learn more.